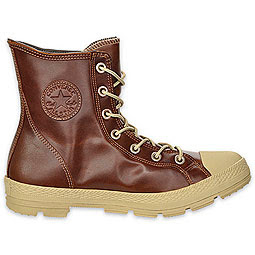 The Converse Blog: Converse Outsider Boot!!! Sooooo....If you haven't noticed, it's getting colder. That's because the tilt of the Earth is in such a way that the Suns' rays are hitting on the southern hemisphere more than the northern hemisphere. I know this because I just got finished teaching 100ish 6th graders about the seasons in my Geography class. 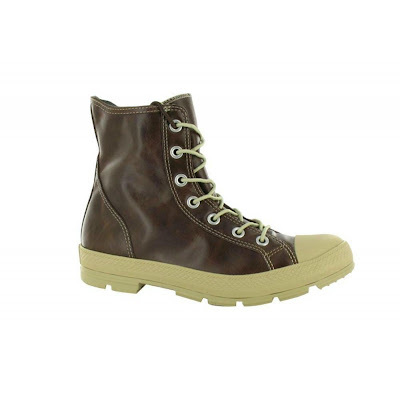 It also means that with colder weather you might need some more weather appropriate footwear. 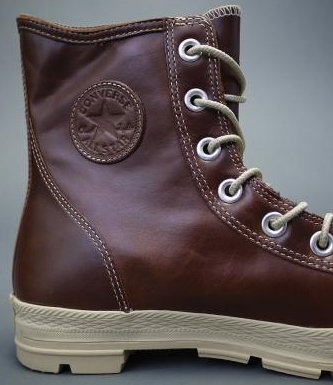 Converse has decided to help us out this year with a boot. 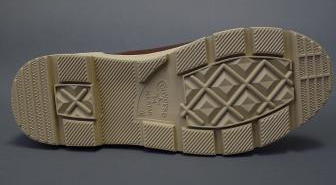 If you don't know, Converse actually started as a rubber shoe company making boots...but since people didn't really buy rubber boots in the hot spring/summer months. So they decided to make shoes using canvas, which was warm weather friendly. Well that's it for today, look for some coverage on the Weapon EVO shortly. Don't forget to follow along on twitter @TheConverseBlog. Right now I've got 149 Followers and I'd really like to have it up to 200 ASAP! Come peoples help a Blogger out! Thanks for checking out the blog!! I've been having these since early September. Great boots. They really are top quality, and the leather is fantastic. I'm going to have to really punish them this winter though, I think. It is extremely interesting for me to read the article. Thanks for it. I like such themes and anything connected to this matter. I would like to read more on that blog soon. Interesting post as for me. It would be great to read a bit more about that matter. Thanx for sharing that material. It was certainly interesting for me to read this post. Thanks for it. I like such topics and anything that is connected to this matter. I definitely want to read a bit more soon.